Traverse the inner city and you may notice a plethora of properties with ‘For Sale’ placarded over their frontage. 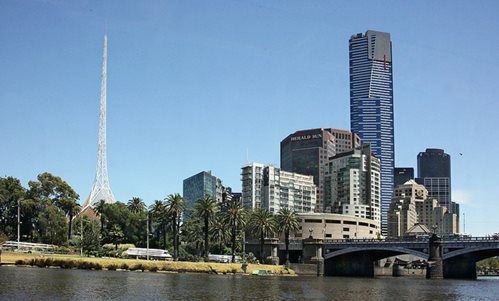 The rise of Asian property developers in the Melbourne market has led to an unprecedented number of development sites offered for sale, with their owners expecting heightened returns as local and offshore developers jostle for premier pieces of real estate. Market conditions are currently very receptive to new residential projects as tower after tower seem to find the necessary pre-sales to advance to construction. This is in part attributed to offshore buyers who view the Melbourne market as a safe investment, bolstering overall sales numbers. While there remains a slight concern over an excess of rental dwellings as many projects advancing to construction simultaneously, these projects are underpinned by strong sales to both local and overseas individual investors. Another factor attributing to the development site sales frenzy is the increased size of contemporary developments. The general consensus amongst local developers is that now more than ever development sites have the potential to yield maximum ‘bang for buck.’ Under the tenure of the current State Government, denser, taller approvals have become the norm; one only needs to consider the impressive number of 200 metre plus residential towers currently proposed/approved in Melbourne. Another case of an upsized development is that of 110-112 Franklin Street which was recently sold by CBRE to offshore interests. The associated, approved 12 level tower which included a compliment of hotel rooms now looks to be the subject of a far large residential tower. Point Architects have recently published images of what looks to be a tower in excess of 40 levels on the correlating site with 267 apartments proposed. The design may or may not be intended for 110-112 Franklin Street, but it does demonstrate the general trend of developers seeking larger residential proposals which in turn explains why there’s immense competition to secure these sites. With the market dynamics the way they are there’s no reason why local and offshore developers won’t continue to scrap it out for Melbourne real estate, producing sustained heightened sales and high returns for the vendor in the process. This article was originally published by Urban Melbourne. Rare Parcel of Land in Inner West Up For Sale South Yarra Residential Towers Keep Coming Australia’s First ‘Hyper-local’ Real Estate Website Launches in Melbourne Port Melbourne Style Where Are Most Distressed Property Sales Happening in Australia?